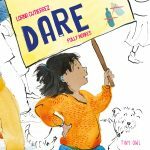 There are too few books for children translated into English, by comparison with the enormous number of books for young readers translated from English into other languages. 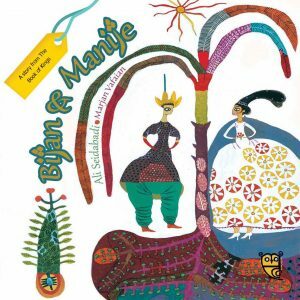 Bijan & Manije is a very welcome addition, particularly as it tells a story from the Shahnameh (The Book of Kings), an epic Persian (Iranian) poem from the tenth century which chronicles the history, both mythical and historical, of the Persian Empire before the coming of Islam. This empire had cultural influence over countries such as Afghanistan, Turkey, Georgia, Kurdistan and Armenia, who continue to value the Shahnameh. The story relates how Bijan, tasked with ridding a neighbouring country from an invasion of boar decimating the crops, is afterwards duped into straying into a hostile land, tempted by the beauty of the women. There he sees Manije, and she, as infatuated by him as he by her, captures him and secretly keeps him in the harem, where they fall in love. Discovered by her father, Bijan is condemned to death, as is Manije, but commuted to imprisonment, they are eventually rescued and return to Iran, to great celebration. 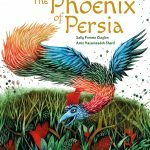 This is an exciting story, powerfully retold, remaining very close to the Persian original in storyline and language style. 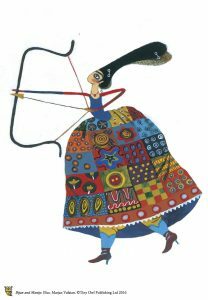 The illustrations are simple profile images of the characters, stylised, colourful and filled with patterning typical of Iranian decoration. 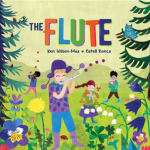 They will engage readers of all ages with their bright, quirky style. As the endnote explains, these epic poems were designed for public storytelling – Pardekhani, accompanied by large illustrations of the events being recounted. As such, their recreation as picture books is totally consistent with their tradition. As the countries of the old Persian Empire are in our news everyday, with terrible images of the impact of war on family life in some of them, books such as this will show readers in the UK something of the great cultural riches and traditions which refugees from every country have been forced to abandon. Let us hope that it will enlighten British readers and equally empower those who are now creating a new life with us. Read this interesting article from an ancient history graduate about this book. 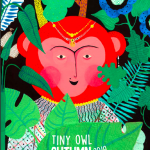 Read this blog post about the illustrator. Read more news and reviews.